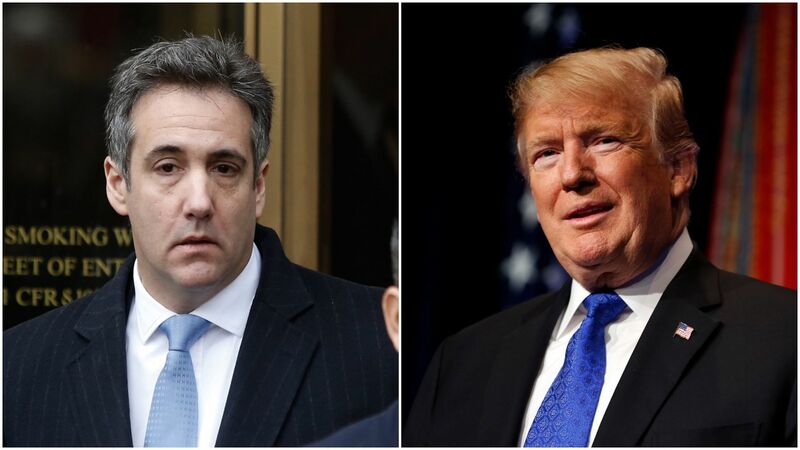 President Trump directed his former personal attorney Michael Cohen to lie to Congress about the extent of his plans to build a Trump Tower in Moscow — charges to which Cohen has since pleaded guilty, BuzzFeed News' Jason Leopold and Anthony Cormier report. Details: The report — which cites "two federal law enforcement officials involved in an investigation of the matter" — alleges that Trump and Cohen had at least 10 face-to-face meetings about the Moscow deal during the 2016 campaign, and that Cohen provided "regular, detailed updates" to Trump's children, Donald Jr. and Ivanka. Special counsel Robert Mueller has reportedly obtained evidence that Trump directed Cohen to lie to Congress through witness interviews and internal documents and communications from the Trump Organization. BuzzFeed also reports that Trump supported Cohen's plan to fly the candidate to Russia during the campaign to meet with President Vladimir Putin to further negotiate the deal. Cohen declined to comment to Buzzfeed News. The White House and attorneys for Trump Jr. and the Trump Organization did not return a request for comment. A spokesperson for Ivanka's attorney told Buzzfeed that she was only "minimally involved" in the project. Why it matters: If true, the report would suggest that Trump downplayed Russian interference and repeatedly lied about having business dealings in Russia during the 2016 campaign, all while secretly pushing the lucrative Moscow project behind the scenes. It would also suggest, for the second time, that investigators have evidence Trump personally directed his attorney to commit a felony. Bill Barr, Trump's nominee for attorney general, wrote in a now-famous memo: "[I]f a President knowingly...suborns perjury, or induces a witness to change testimony...then he, like anyone else, commits the crime of obstruction."